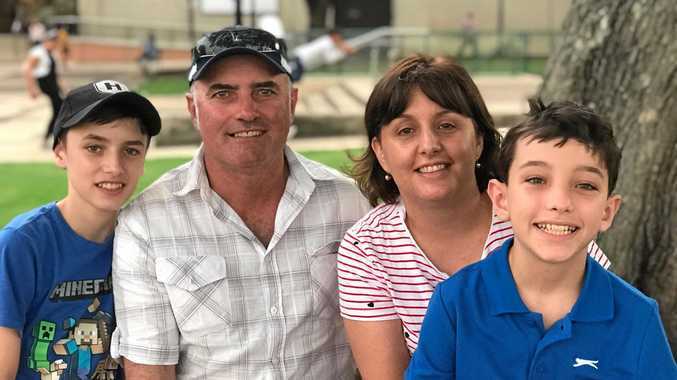 THE families of five people killed in an horrific plane crash at Caboolture Airfield could wait months before they discover the truth behind the tragedy. A preliminary investigation report released late Friday showed the Australian Transport Safety Bureau was investigating a "range of scenarios" to determine what caused the skydiving plane to crash on March 22. The report shed no light on what caused the crash, which killed pilot Andrew Aitken, 24, instructors Glenn Norman and Juraj Glesk, and engaged couple Joey King, 32, and Rahuia Hohua, 27. 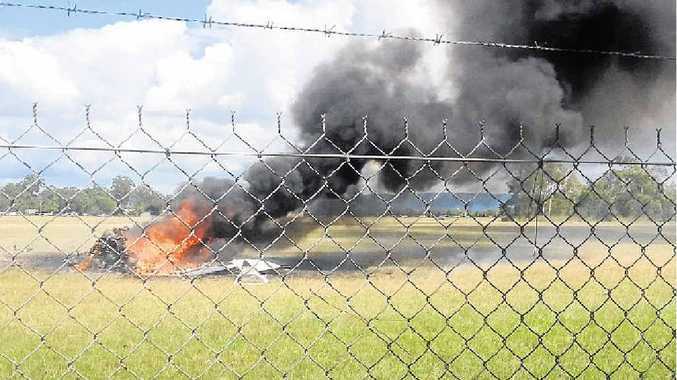 The five aboard the Adrenalin Skydivers Cessna 206 did not stand a chance when the plane hit the ground and burst into flames soon after take-off. The report says very few items could be recovered from the wreckage to help with the inquiry. It said the plane had a current certificate of airworthiness and maintenance records were all up to date. Mr Aitkin held a commercial pilot (aeroplane) licence and had 1100 hours of flight experience under his belt. It was a clear day by all witness accounts, when the doomed skydiving flight took off from the runway and crashed almost immediately. Caboolture Airfield Safety Officer Bryan Carpenter described the crash as the worst disaster in the airfield's history. He said the chaotic day and charred wreck was still fresh in the minds of the aviation fraternity. "It's still all so vivid in our minds and we will be forever mindful that this sort of business means we require great care when flying and that we should all be aware of the hazards when flying, whichever sort of aircraft," Mr Carpenter said. "It could not get worse than this crash and we never want to see it happen again. "The aviation fraternity is aware that the ATSB is very thorough, and we have to live with that and let the investigation take its course before we can have some closure." The report revealed the ground scarring and impact marks indicated the left wingtip touched the ground first, then the aircraft cartwheeled before coming to a rest about 35m beyond the initial impact point. A number of aircraft components including the engine, propeller, flight control components and parts of the pilot's seat were taken from the scene for examination. Video recorders were normally taken on the aircraft as part of the skydiving packages, but because of extensive damage no information was able to be downloaded. As the investigation continues, the ATSB will look into the possibility of the pilot's seat sliding backwards, a load shift, partial power loss and turn back and flight control problems. A final report is expected by March next year.